Apple cider vinegar has been used medicinally for over 5,000 years. Healers have prescribed it for conditions ranging from pneumonia to high blood pressure to dandruff. Apple cider vinegar is also reputed to help osteoarthritis and the bone spurs which commonly occur with that condition. Though there is little evidence supporting its other curative powers, there is a possibility it may be helpful with bone spurs. Consult your doctor before starting apple cider vinegar treatment. A bone spur is a bony projection that often forms in joints and in areas where ligaments and tendons join bones. According to Mayo Clinic, bone spurs are usually painless and require no treatment. Some bone spurs are actually beneficial, giving new stability to our joints as we age. However in some cases the spurs rub against nearby nerves, causing pain. Doctors typically recommend over-the-counter NSAIDs to relieve to pain, but if the spurs inhibit mobility a surgeon will have to remove them. A study published in 2006 in the "British Journal of Sports Medicine" examined 31 patients with plantar fasciitis, a condition that can cause bone spurs in the heel. They treated the patients with two treatments and found acetic acid iontophoresis to be the more effective treatment. Another study from a 2007 issue of "The Journal of the Canadian Chiropractic Association" also concluded acetic acid iontophoresis was effective in treating the spurs caused by plantar fasciitis. Acetic acid is the chemical name for vinegar, and iontophoresis is the use of a low current to negatively charge the vinegar so it can be more easily absorbed into the skin. Neither study indicated what type of vinegar was being used. Researchers are unsure why acetic acid iontophoresis helps bone spurs, but the authors of the 2007 study surmised the vinegar was changing the chemical structure of the spurs. Bone spurs are made of calcium carbonate, which is insoluble. They surmised the calcium carbonate combined with the acetic acid to form calcium acetate, which is able to dissolve into the blood stream. Over time the bone spur is simply washed away. Although the research seems to support the idea that topically applied vinegar can help dissolve bone spurs, there are a number of differences to consider. No studies have been done with bone spurs of the hip, which might respond differently. Both studies used a mild electric current to speed up the body's absorption of the vinegar, something nobody should try as a form of self-treatment. However the research is promising, and apple cider vinegar doesn't appear to be harmful in the short term. 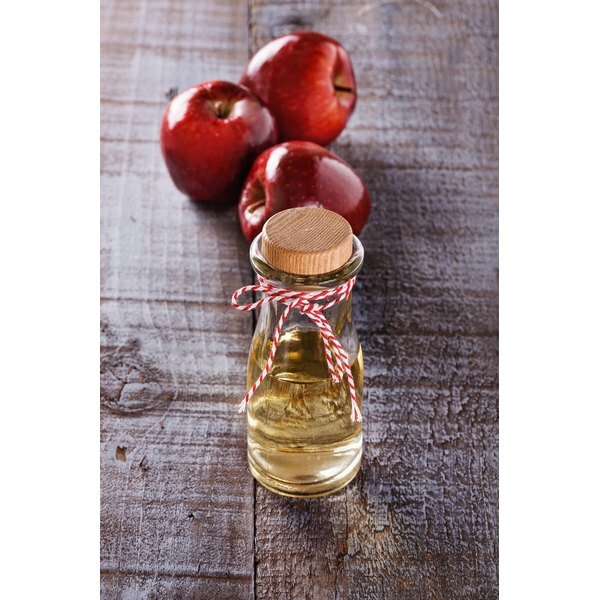 AARP points out that long-term use of apple cider vinegar could lead to low blood potassium or reduced bone density. Before starting apple cider vinegar or any other home treatment, talk to your doctor.